Since my grandfather, Saichiro Michimoto, established FUJIYA in 1923, it marks its 92nd anniversary this year. I put into the "MANAGEMENT PHILOSOPHY," “VISION” and “MISSION” my thought that I want to create a 'new' FUJIYA toward the 100th anniversary of its founding, while continuing its great reputation and tradition. When settling on the "MANAGEMENT PHILOSOPHY," “VISION” and “MISSION”, I used standards such as; what commitment we can make to customers within the company management; what goals we are aiming at; what our employees can rely on in their hearts and minds and, among these elements, whether we can continue working in the same "vector". Fulfilling this philosophy is the "existence value" of FUJIYA in society, as well as the base of FUJIYA spirits. 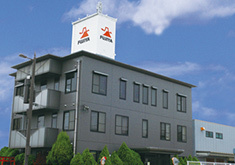 I regard the "MANAGEMENT PHILOSOPHY," “VISION” and “MISSION” as the pledge of all employees of FUJIYA to our customers. In compliance with the pledge, we, FUJIYA, will make efforts to become a company that is required by and can contribute to our customers, even more than before. "Seiri (orderliness), Seiton (neatness & tidiness), Seiso (cleaning), Seiketsu (cleanliness), and Shitsuke (good manners) and Aisatsu (greeting) are the starting point of all operations." "Do not fear the change, but enjoy it." "Organization with 'everyone being the brain'"
"Always work by setting high goals and consider the work by planning what we should do not from the current status but from the goal." "3S of FUJIYA for work"
Resona Bank, Limited. Mizuho Bank, Ltd., The Bank of Tokyo-Mitsubishi UFJ, Ltd., The Japan Finance Corporation, etc.